El Clasico is known to be quite the eventful feature. And the weekends clash was very much in line with this. 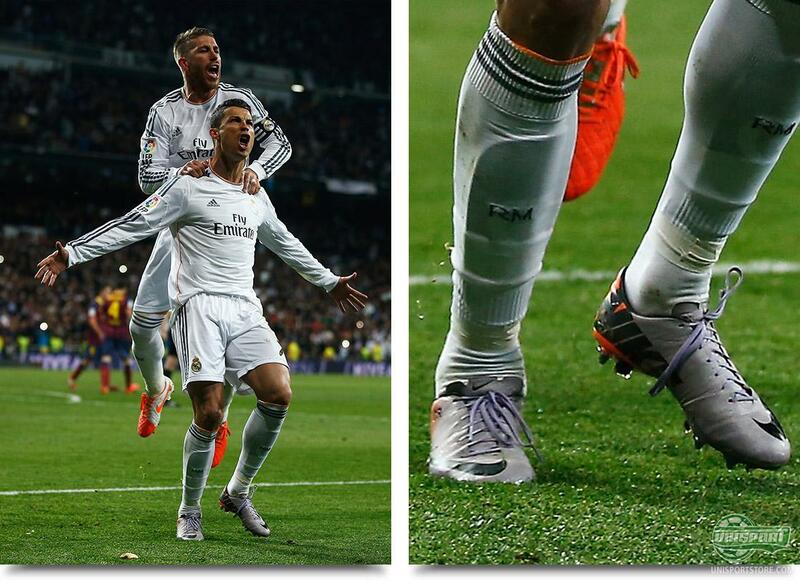 As promised, Cristiano Ronaldo was wearing the new Mercurial Vapor IX in the Metallic Mach Purple/Black/Total Orange colourway, which is a celebration to his Superfly II from 2010. The worlds best football player of 2013, unfortunately had to see himself beaten by his direct opponent Lionel Messi, both on the personal, as well as the team level. With a hat-trick, Messi managed to outshine everyone and hereby closed the gap to Real Madrid and Atletico Madrid in what is a historically tight battle for the title. 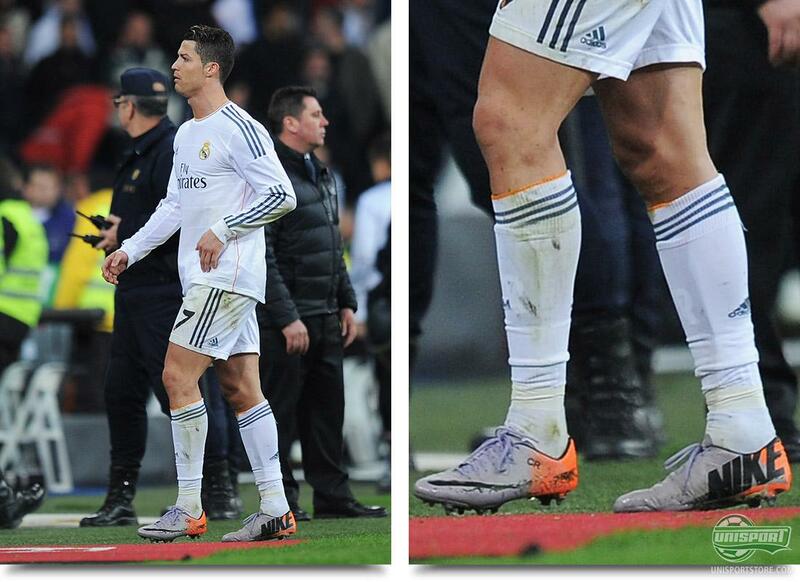 CR7 also managed to shine in parts of the game, in part also due to his footwear. Last Friday Nike presented their last colourway for the mercurial Vapor IX in their World Cup series. The football boot celebrates Cristiano's Superfly II from the World Cup in South Africa back in 2010, and aesthetically closely related to the Metallic Mach Purple/Black/Total Orange Vapor. With the same colour combination, the latest generation of the Mercurial collection was completed and Nike have hereby collected the best of the best in their World Cup series. And the best of the best was exactly what was gathered for Sunday's El Clasico match. Cristiano Ronaldo, who has also been spotted training in the new colourway, didn't way long to find the back of the net with his new football boots. A goal from the penalty spot was produced, but this is probably not the last we get to see of this boot. When Cristiano wore his Superfly II during the 2010 World Cup, he was actually named Man of the match in all three initial matches in the group stage. 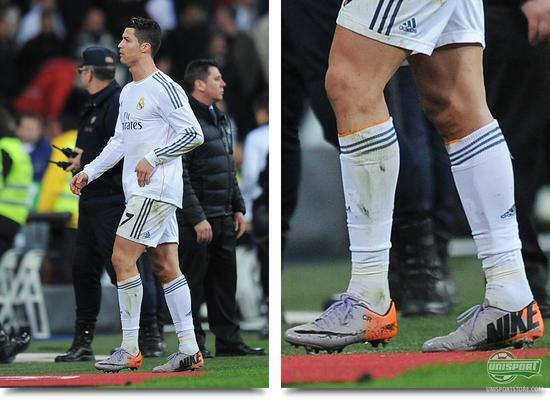 Even if he didn't get the same brilliant start with his new Mercurial Vapor IX FF '10M, we have no doubt that CR7 is going to do the business. On the technical level, these new boots are similar to his boots from the Reflective Pack, which he has been wearing with extraordinary success. 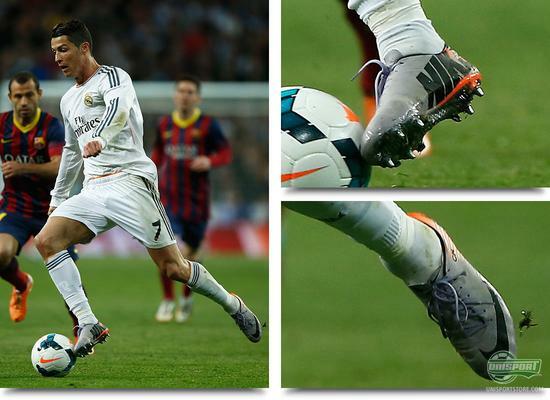 The alert reader may have noticed that the Nike Speed Control technology is not to be found on Cristiano Ronaldo's version of the new FF '10M. It seems that Cristiano prefers not to have the popular texture, and instead sticks to the Teijin upper that provides a more leather-emulating finish to the boot. We cannot agree on what to prefer, but what are your thoughts on this? We had been looking forward to seeing Cristiano in his new Vapors, and it was certainly no disappointment to see him running about in the Metallic Mach Purple/Black/Total Orange colours which lead of thoughts back to the 2010 World Cup and a certain Superfly II Elite Series. 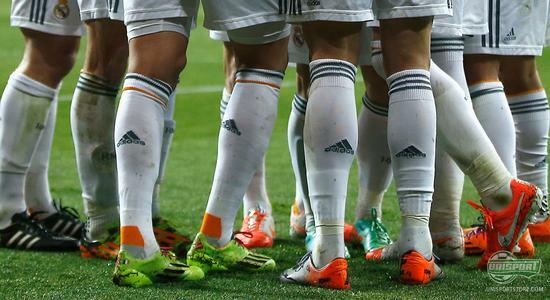 What do you think of Cristiano Ronaldo's new football boots. Is the colourway doing it for you, or is it a little too 2010? Take your football passion to a social level, and leave us a comment on our Facebook or Twitter.